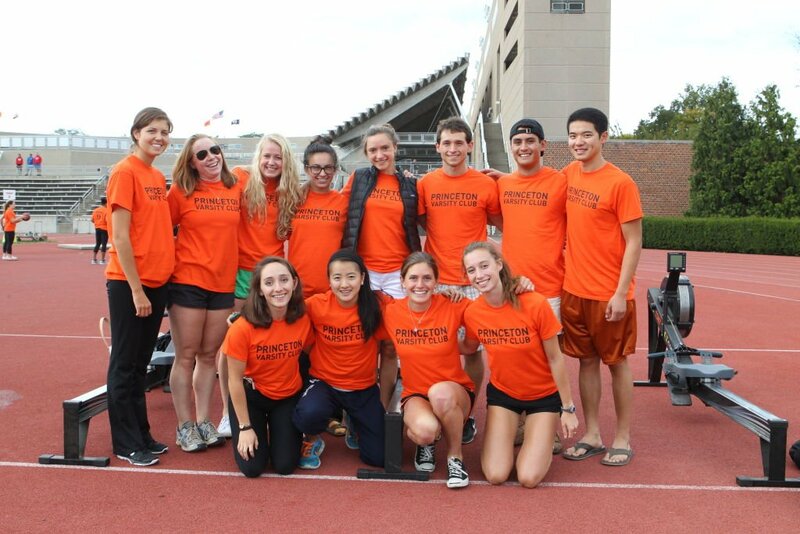 The Princeton Varsity Club held its fall Weapons of Mass Construction (“WOMC”) service event in conjuncture with Community & Staff Day on Saturday September 26th. 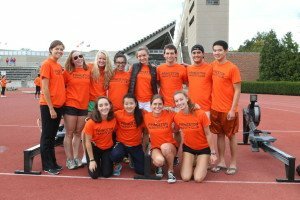 This year’s WOMC event took the form of a Youth Sport Clinic conducted on Weaver Track in advance of Princeton Football’s home opener vs. Lehigh University. Over 100 Princeton student-athletes, representing a variety of varsity sports, came out to work with the children and teach them the general skills and techniques associated with their respective sports. The student-athletes staffed 15 sport stations, including Hockey, Wiffle Ball, Track & Field hurdles and Rowing ergs, to name a few. Photos of the event can be viewed by clicking here. This year’s event marked the second consecutive year the Princeton Varsity Club has partnered with the Office of Community & Regional Affairs to sponsor the Youth Sports Clinic, which originated back in 2006. The event also served as the ninth edition of the PVC’s Weapons of Mass Construction service series. In addition to the WOMC Youth Sports Clinic, Saturday’s Community & Staff Day festivities included a family funfest in the stadium concourse, outreach tables staffed by local community vendors and a post-game aerial firework show. The true fireworks came from the Princeton Football team, who doubled-up the Lehigh Mountain Hawks by a score of 52-26 en route to their second win of the season. The PVC would like to extend its thanks to all the student-athletes, community partners and Tiger fans that came out and contributed to making this year’s Fall Weapons of Mass Construction event a success.